The seventh Avatar of Lord Vishnu, Lord Ram is regarded as an apt example of moral excellence by millions. He is conceived as a righteous model of reason, right action and desirable virtues – a supreme manifestation of the Divine. He is considered as the Universal Spirit as well as a personal God who appears in human form for the well being of his numerous devotees on earth. He is the ideal of perfection. No other character has been described with such idealistic perfection displayed in all aspects of life. Tulsidas calls him "beginningless, endless, limitless, changeless and beyond all description". He is pure consciousness- the very light untouched by illusion. In Divine Chants of Ram, it is this light that we revere. Such chants packed with divinity have been compiled that entrance the devotees to experience the ethereal, the supreme embodiment of the ideal Man- Ram. They highlight Him as the exemplary beacon of virtue and righteousness. That these traditional musical compositions are rendered in varied raags, at once, enhance and exhilarate the soul in pursuit of the eternal Lord. Prayers are offered to this compassionate lord of power and virtue so that he blesses all with his qualities. Worship this being transcending all utterance, wisdom and knowledge. Celebrate in ecstasy and harmony, Ram, the just ruler, the fearless warrior, the perfect son, the real friend, the devoted brother, the noble enemy and the caring master. 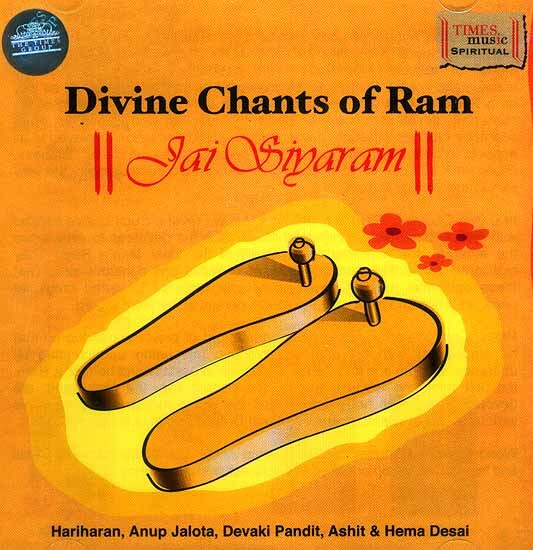 Immerse in his various facets of absolute perfection with Divine Chants of Ram. World-renowned singers Hariharan, Anup Jalota, Devaki Pandit, Ashit Desai and Hema Desai help enhance this truly sublime experience.